I went to the new Maison Kayser on the Upper East Side, and I was pretty inspired by the pistachio white chocolate chip cookie they had. It was chewy and soft, so soft that it couldn’t stay whole. It had a slight lemon fragrance, which I thought added interest to the cookie. I searched for a recipe online, and adapted one by replacing the vanilla essence with lemon essence. 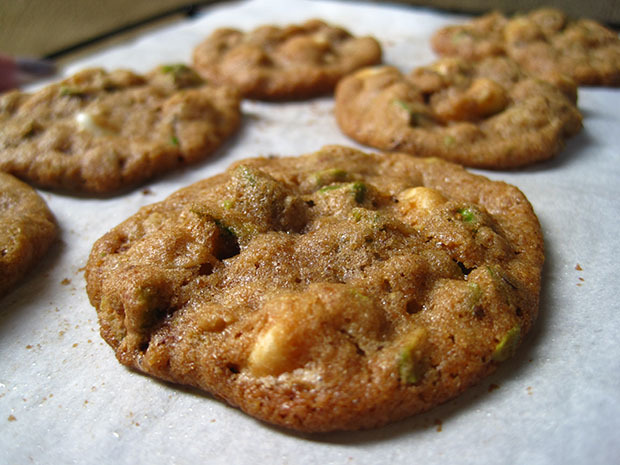 I also liked that this recipe used oats to add chewiness – I’m personally really fond of oats in cookies, and it’s less caloric too. I used whole wheat flour in place of plain flour without any problems. This is a really easy recipe. I recommend using good quality white chocolate. 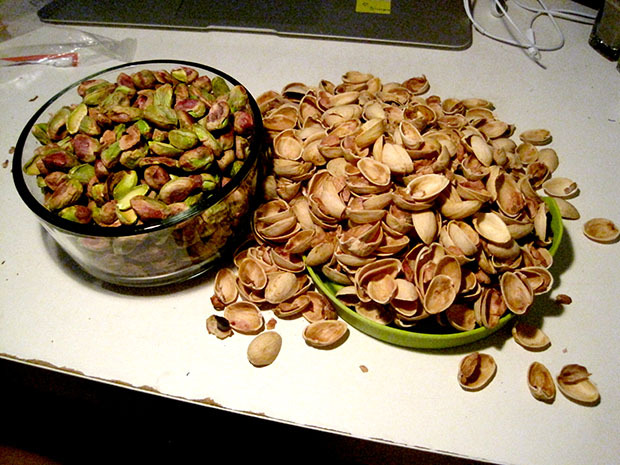 It was rather therapeutic de-shelling these pistachios while watching a movie. 5 Bake for 10-12 minutes or until golden brown. 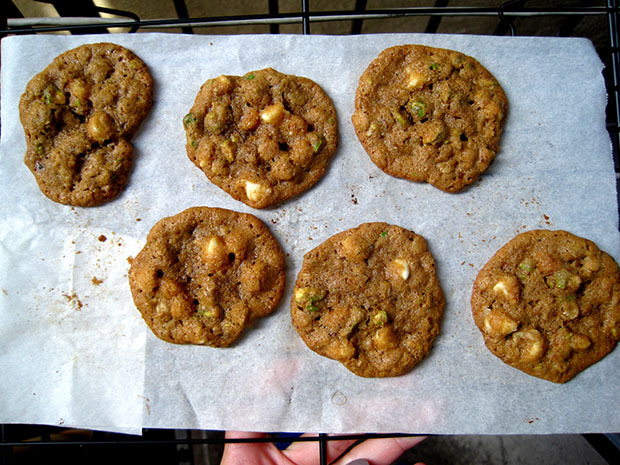 Allow to set up on the cookie sheets before moving to a baking rack to cool completely.